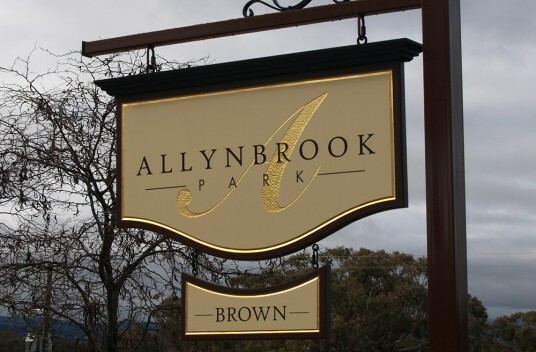 This beautifully designed property sign is hand carved and gilded with 23kt gold. The chip carved gold accent matches the incise carved and gilded border, while the carved letters are painted to match the border and edge. A top trim adds the final touch of class.